A bit of news for you all, and an update on some of the things happening at Triskelion in the coming weeks. Firstly, I’ve been having a close look at the business and creative direction of Triskelion. It’s been a very good few years, and the business has grown hugely, to the point where I’m about to employ a part-time worker on some of the admin and the unskilled parts of the job. This has given me the time and space to address retail partnerships with shops, designers and other stockists. So, there’s been a little bit of a reorganisation. As of Yarndale at the end of September, my Idris (British superwash BFL), Gofannon (Peruvian baby alpaca) and Emrys (British BFL) product lines will be available solely through retail partners. This is a great move for both myself and Triskelion’s retail partners for a number of reasons. 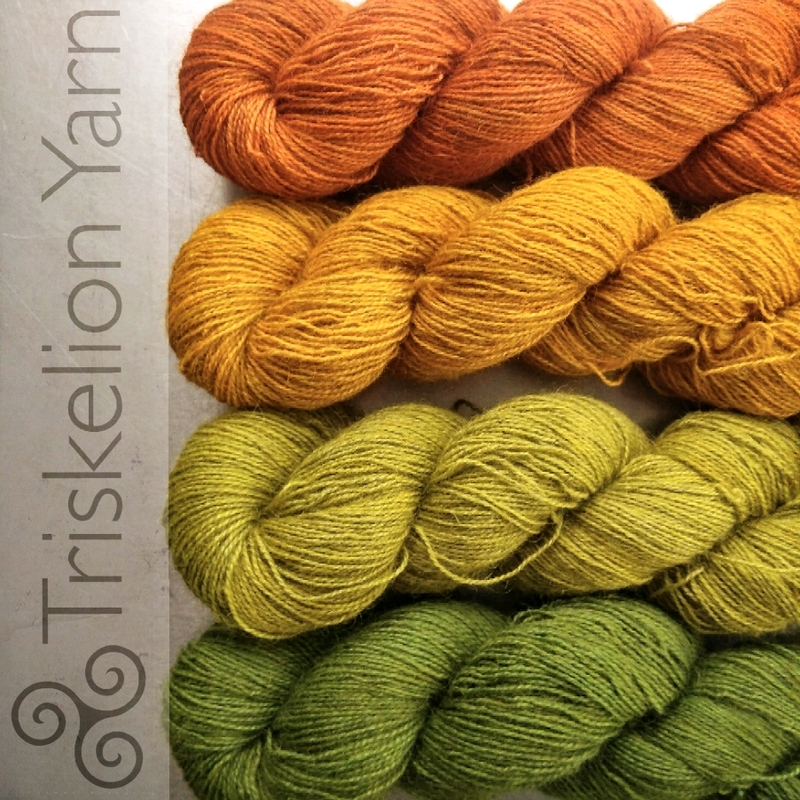 Firstly, we won’t be treading on each other’s toes at shows or in our online shops, as those particular yarn bases will only be available through retail partners, and I’ll have my own yarn bases solely available through the normal Triskelion channels. Secondly, the retail partners’ colourway palette (a 21-colourway palette based on the current one) will stay constant, which means I have more freedom to play around creatively in the Triskelion booth, and the retail colourways will only be available via Triskelion’s partners too. Thirdly, it’s a great move for retail partners, as the ‘economy of scale’ on these yarns will allow me to give them a full 100% retail mark-up. 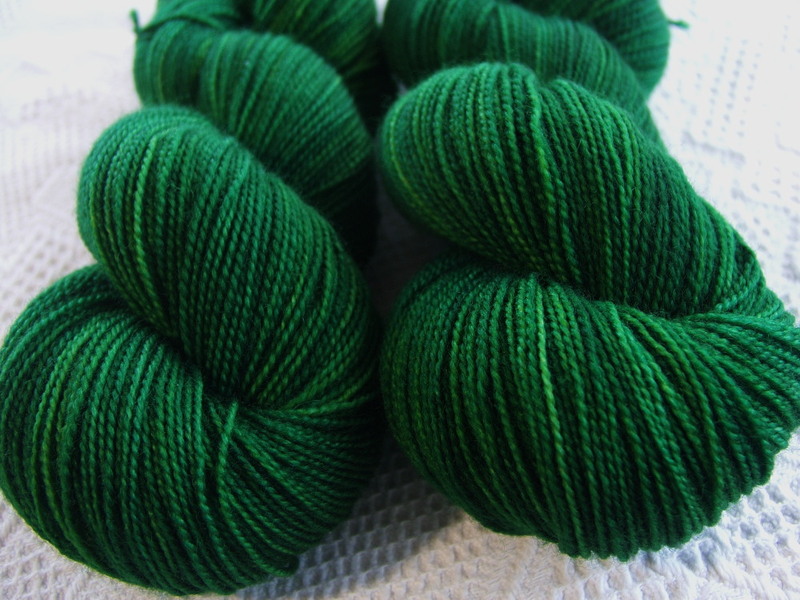 As mentioned earlier, this is starting for Yarndale. 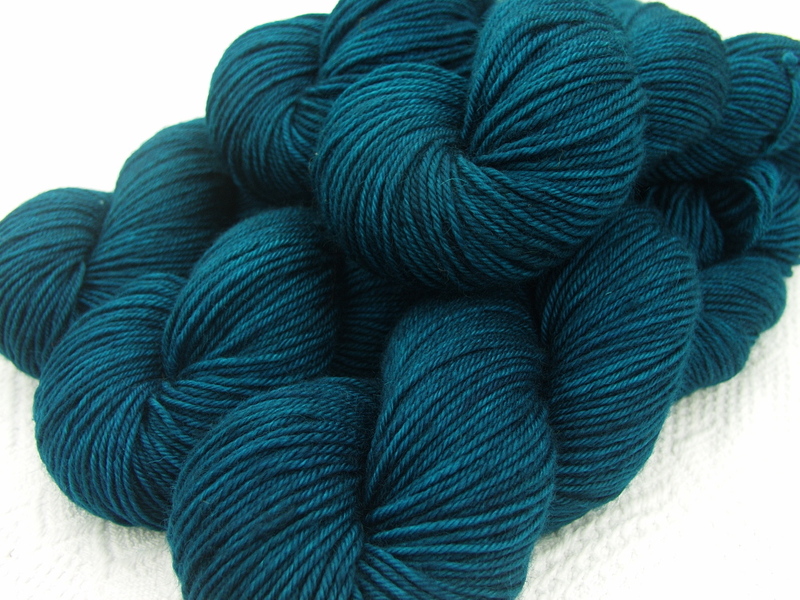 An initial selection of colourways on the Idris DK base will be available from Sarah and Jonathan on the Purlescence stand, and will be available via their website at some point thereafter. From the beginning of October, starting at the Ally Pally Knitting and Stitching Show, Idris DK, Gofannon 4-Ply and Emrys Lace will be available from Janie Crow, again available thereafter on Jane and Andy’s website. A couple of other shops will be following later on in the year, and a few are pencilled in for the new year. 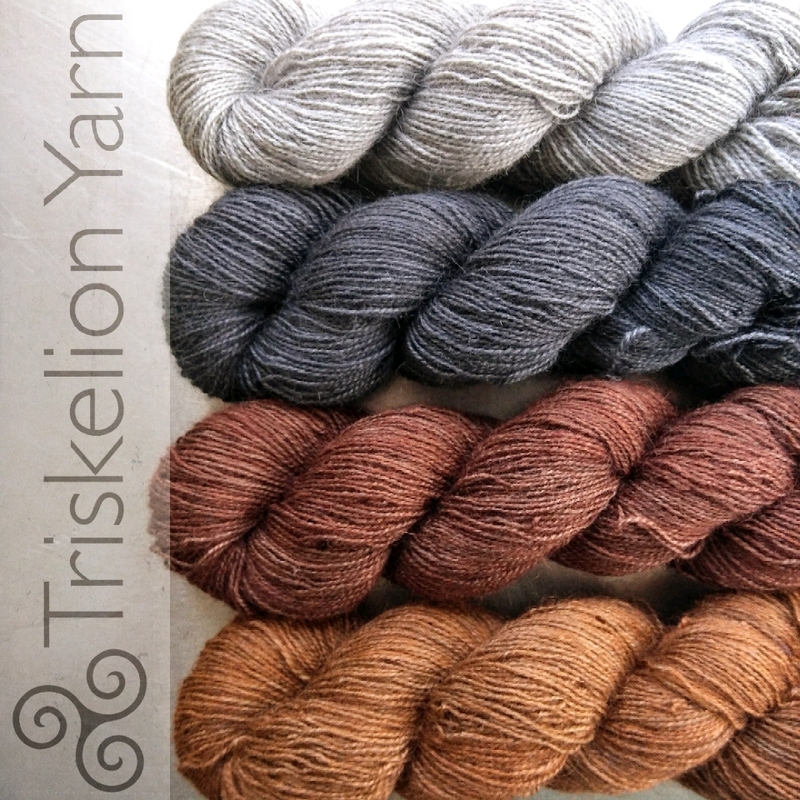 Any retailers, yarn shops or show outlets are more than welcome to contact me for details about stocking Triskelion yarns in future. 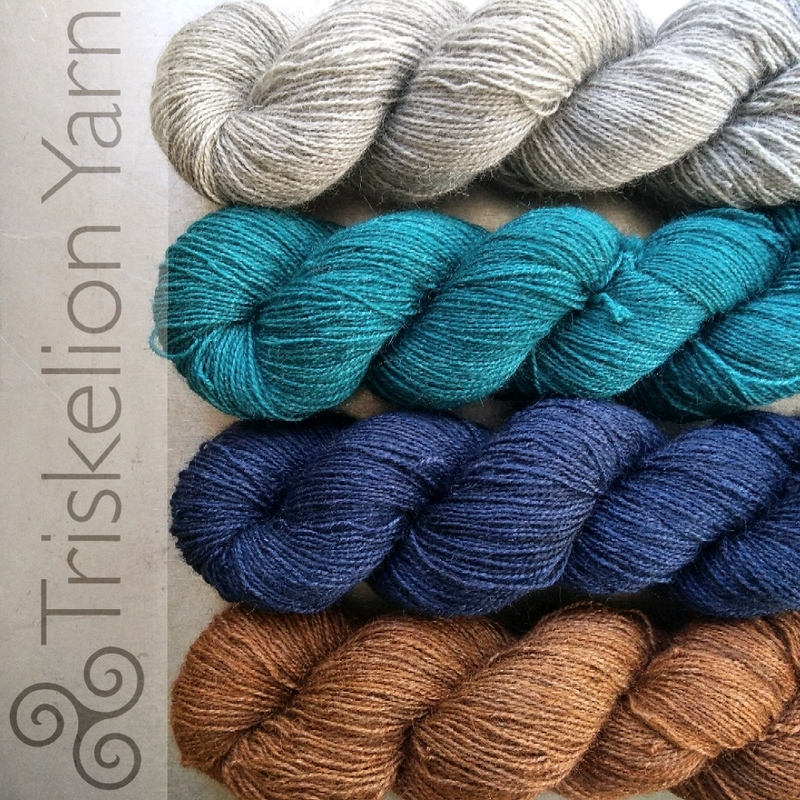 As for the Triskelion show booth and website, there are some fabulous new yarn bases on their way, in addition to some old and new favourites (Arthur, Elmet and Elen are staying with me), and some new Triskelion colourways will start making their appearances at Yarndale. All the best, and I hope to see you at Yarndale or at Yarnporium in November!